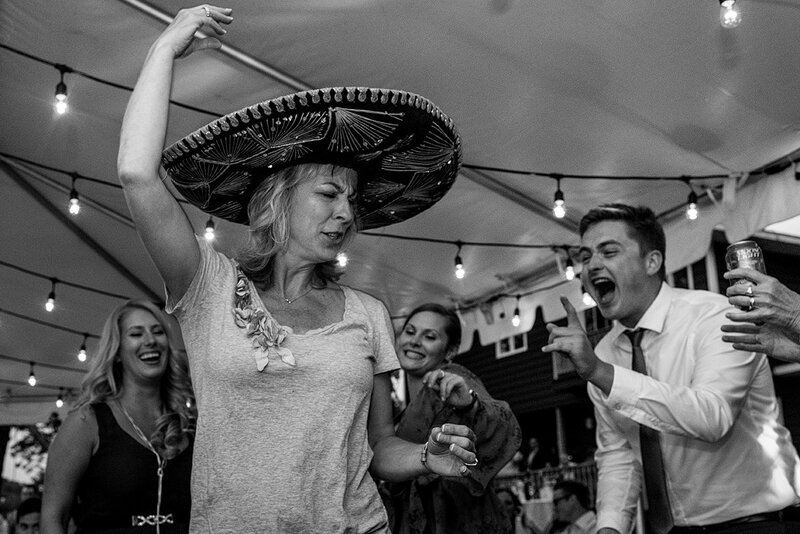 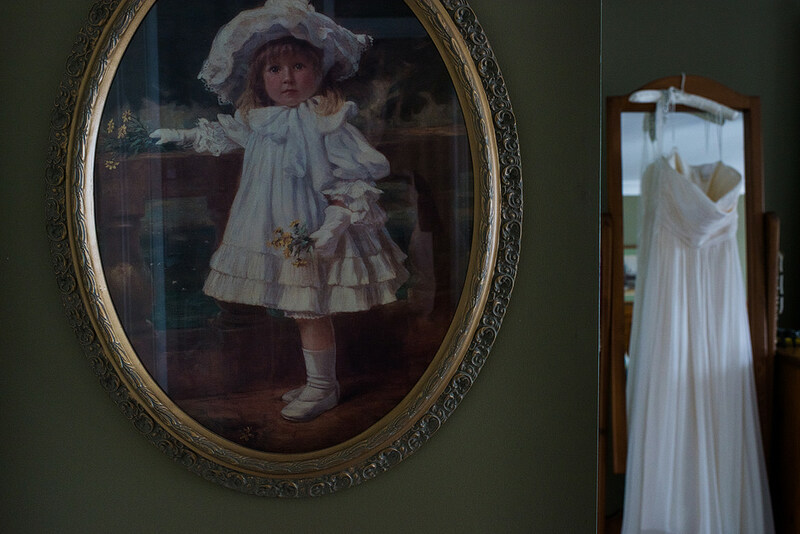 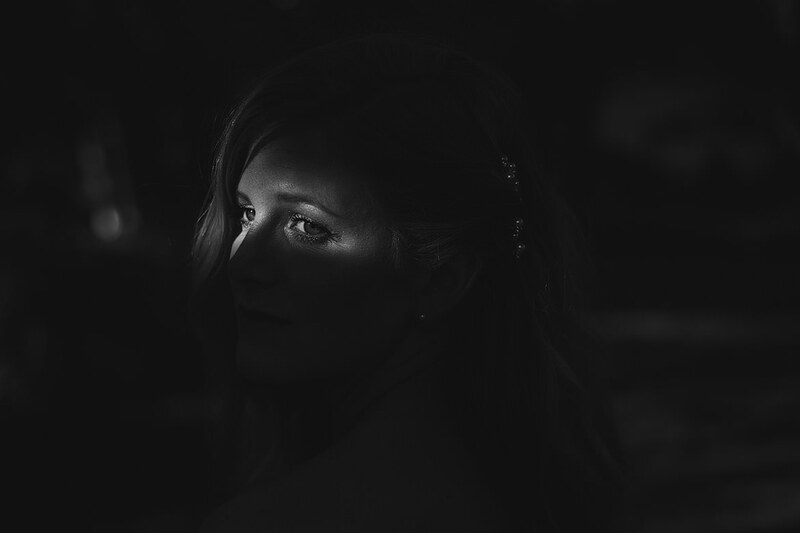 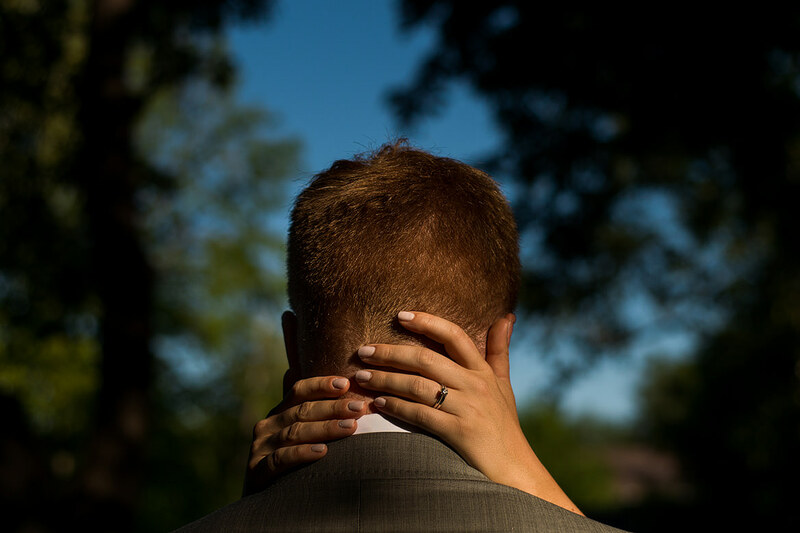 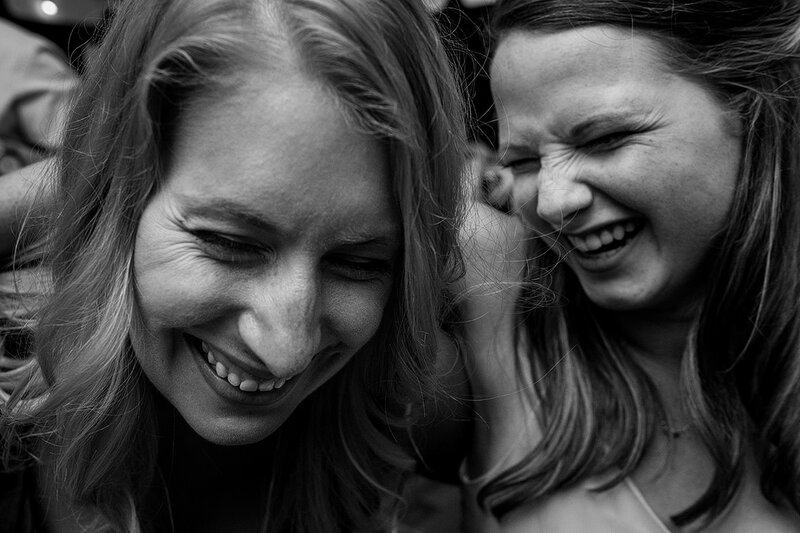 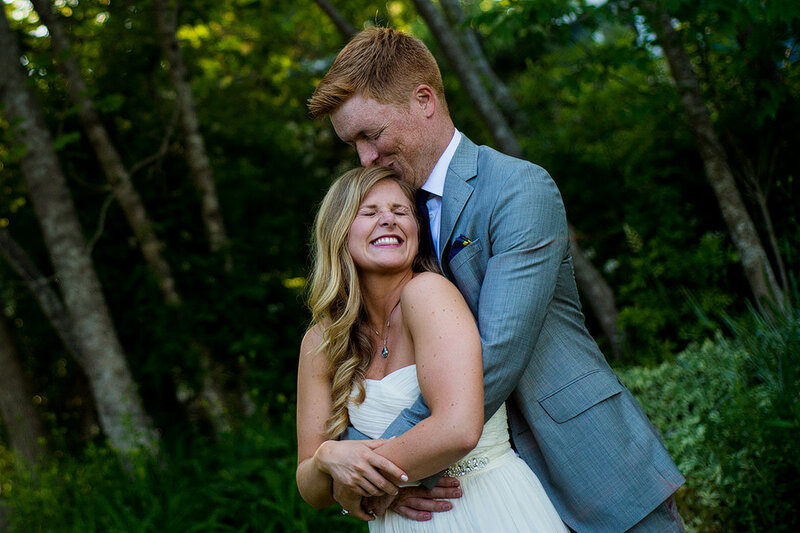 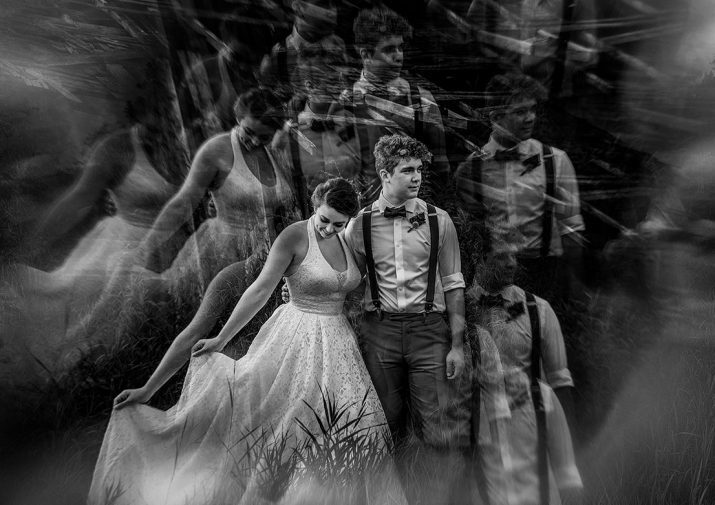 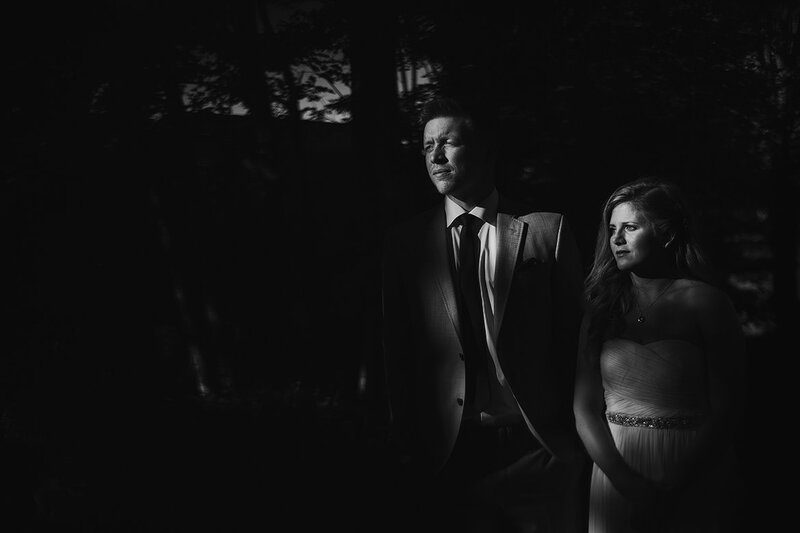 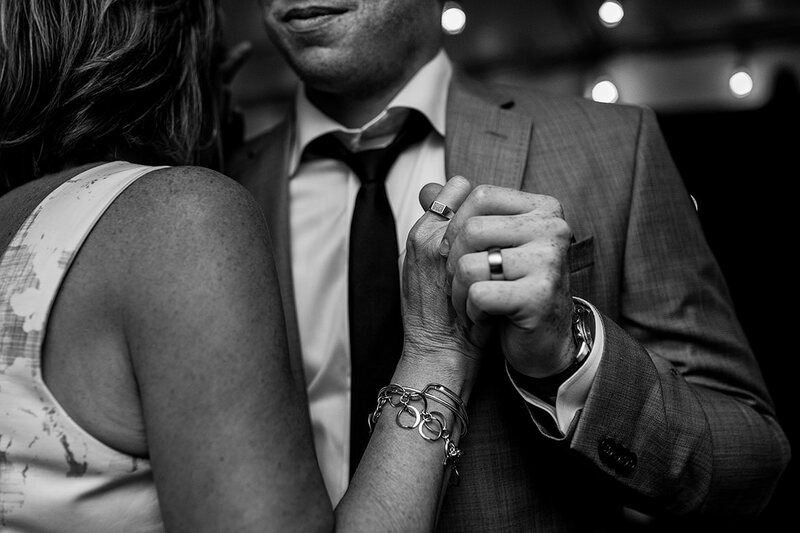 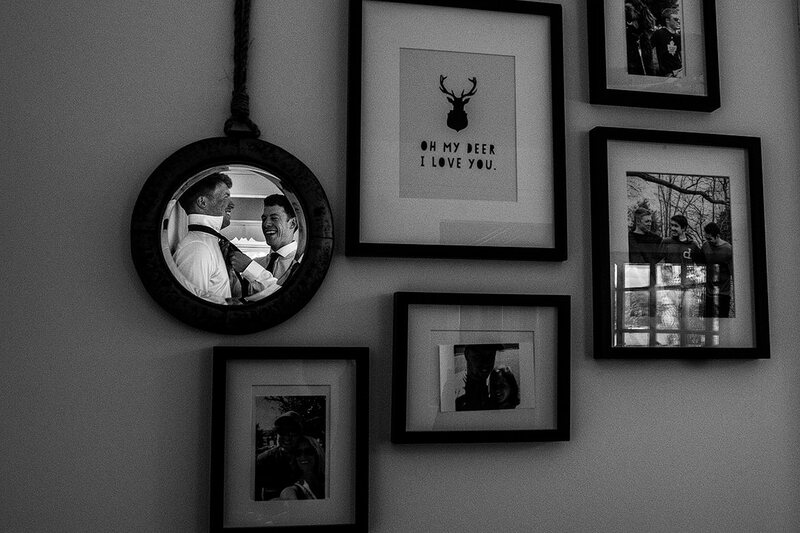 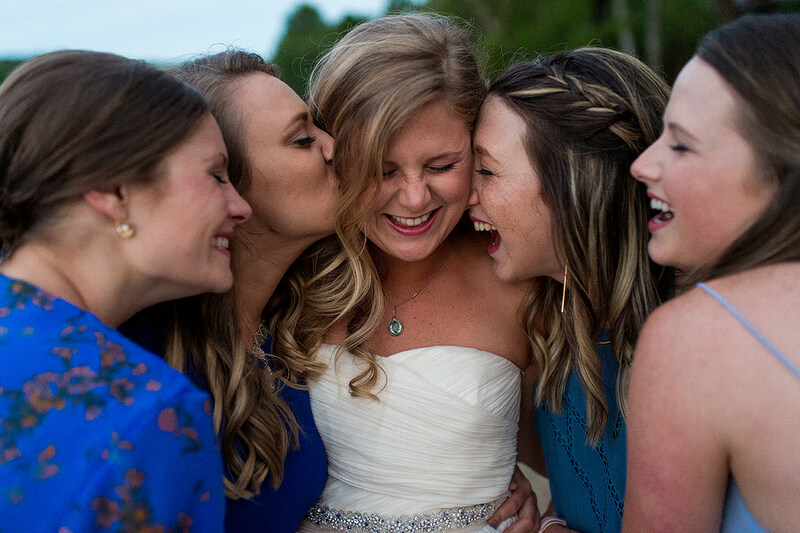 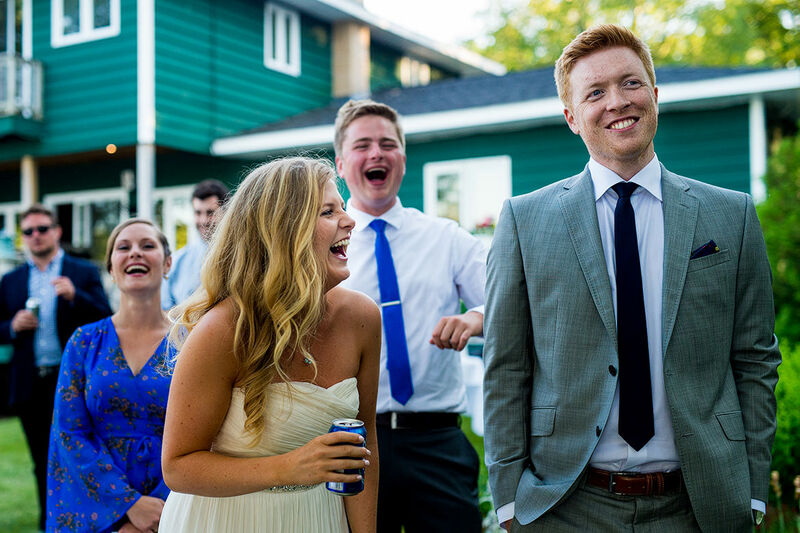 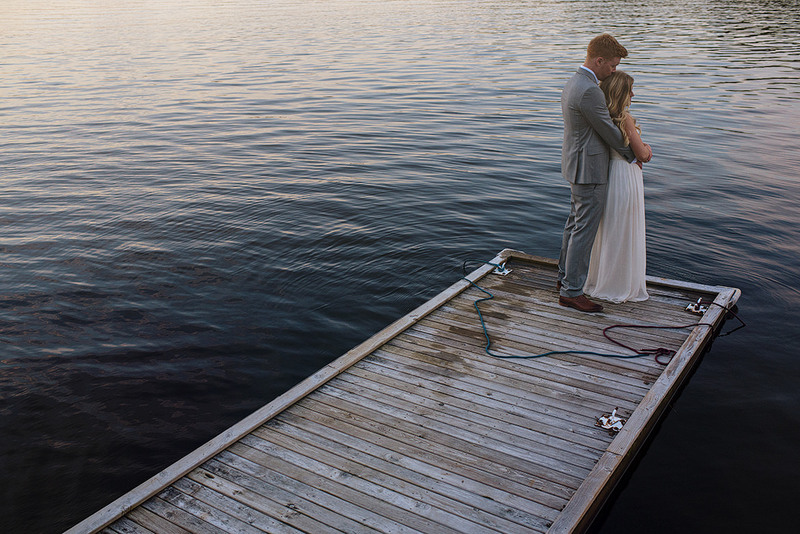 Sarah and Andrew had an incredibly laid back wedding in her parents back yard. 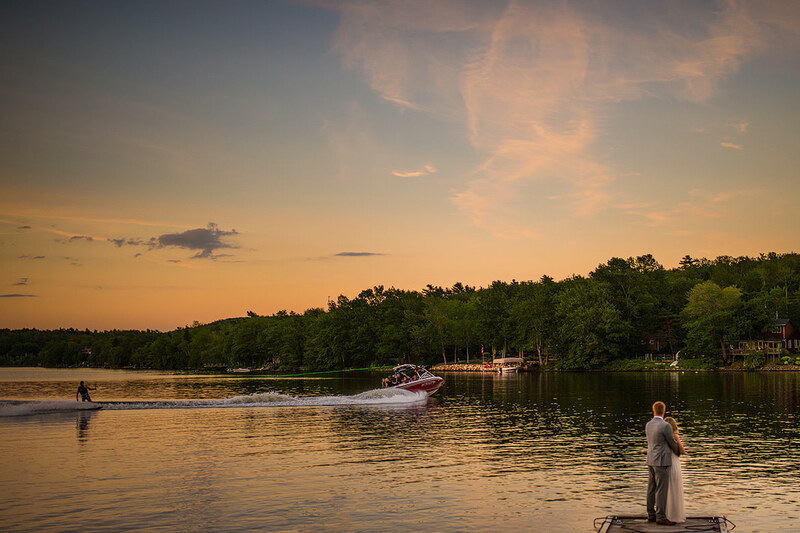 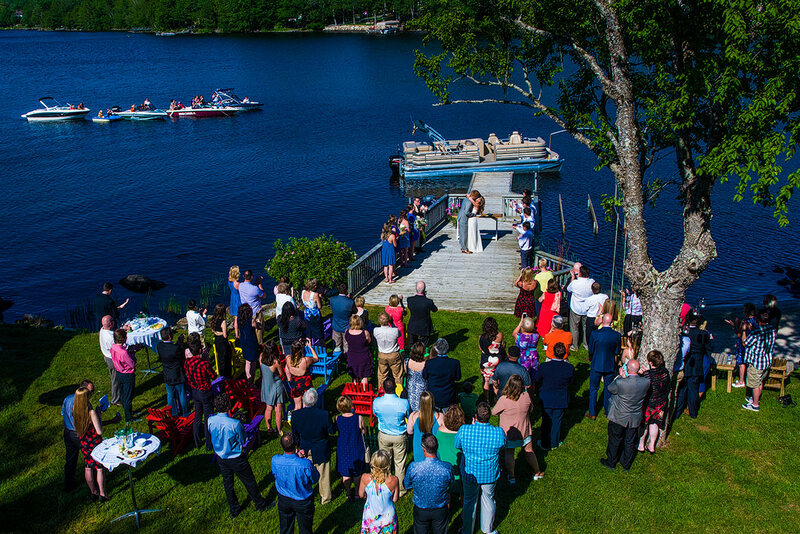 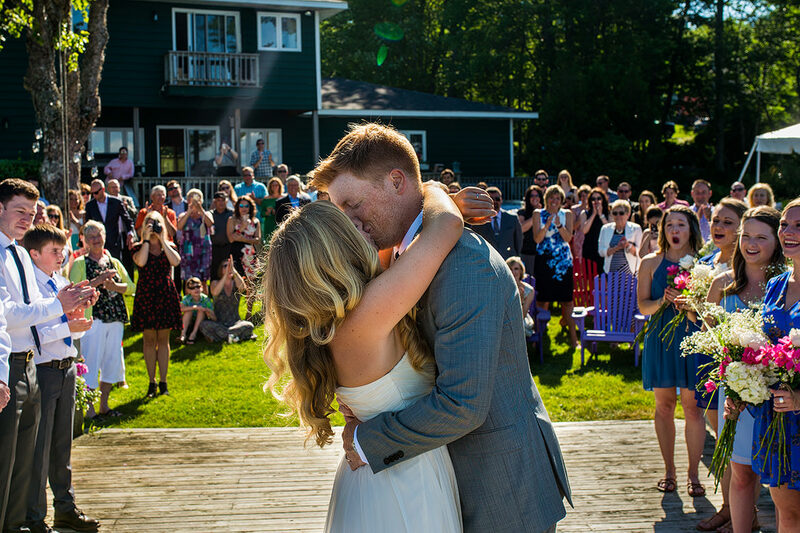 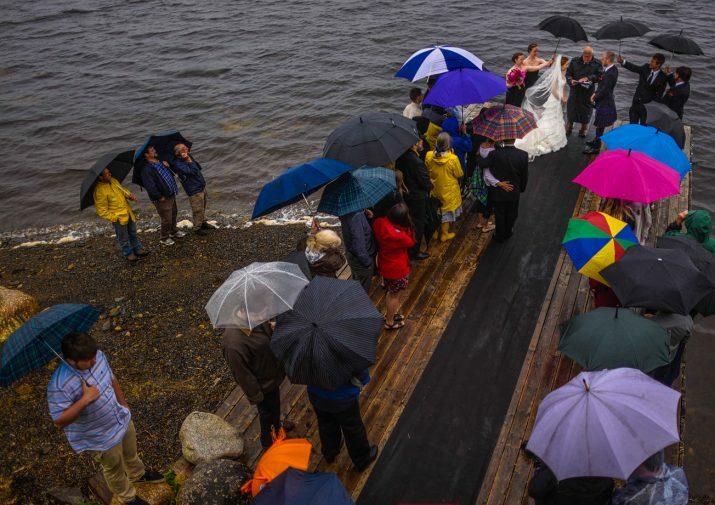 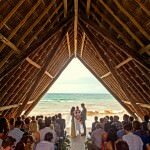 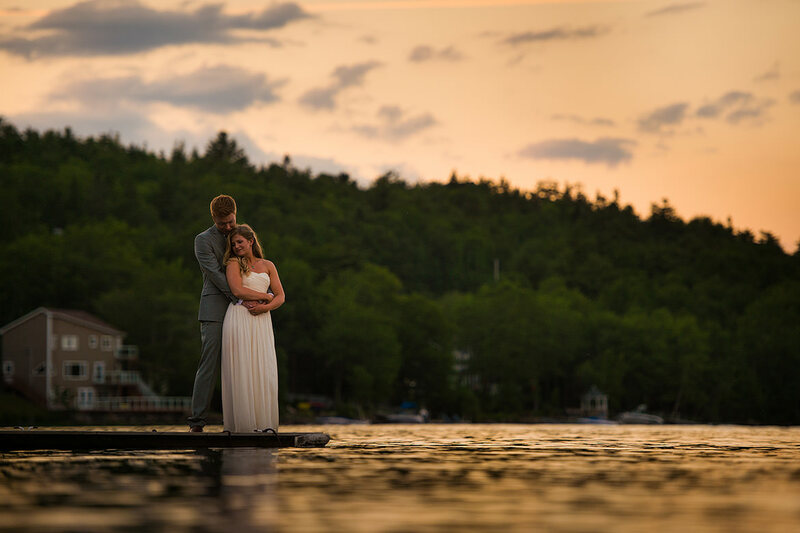 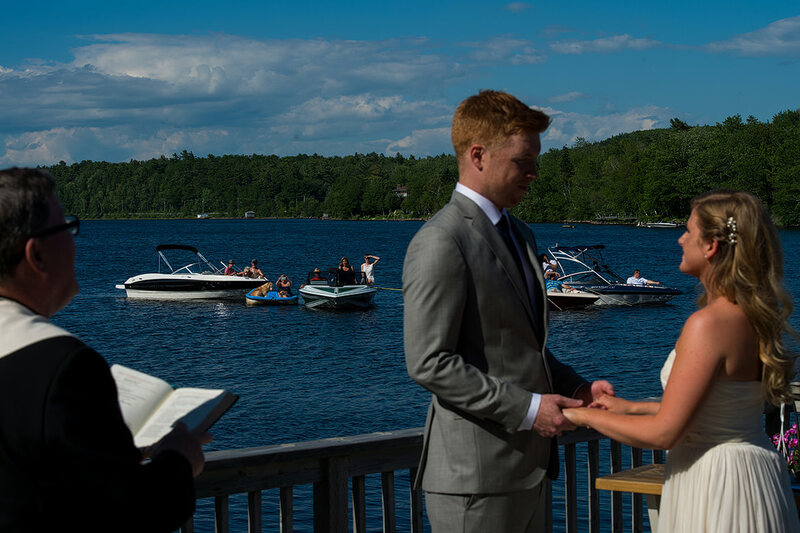 They got married on the dock, with friends and family watching from the many adirondack chairs scattered throughout the lawn. 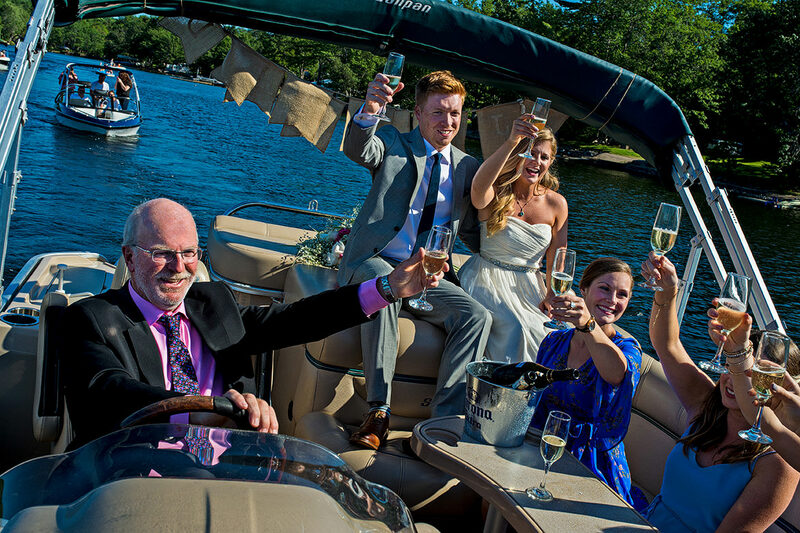 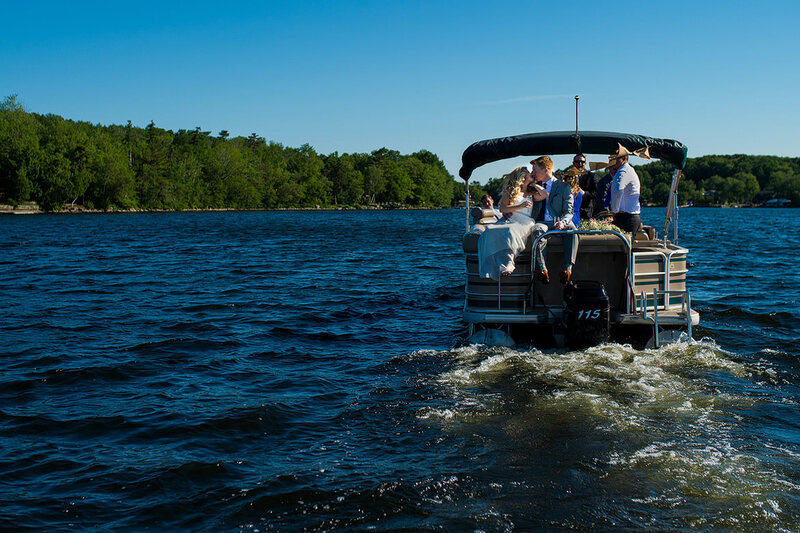 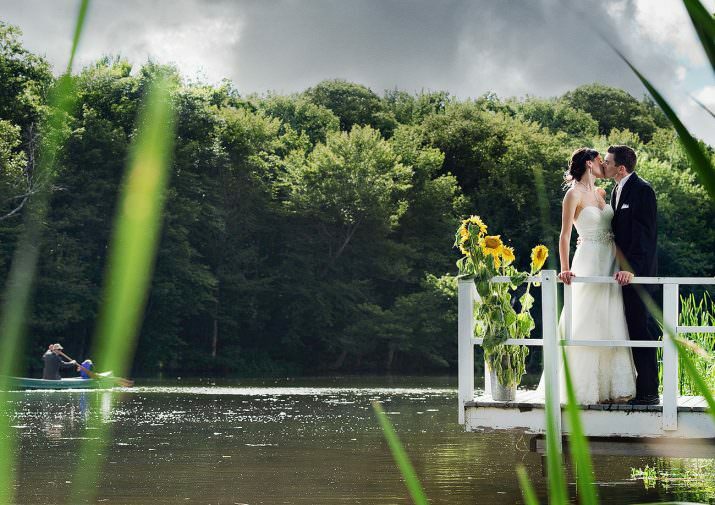 Instead of walking back down the aisle, they hopped in the boat and went for a cruise around the lake to celebrate. 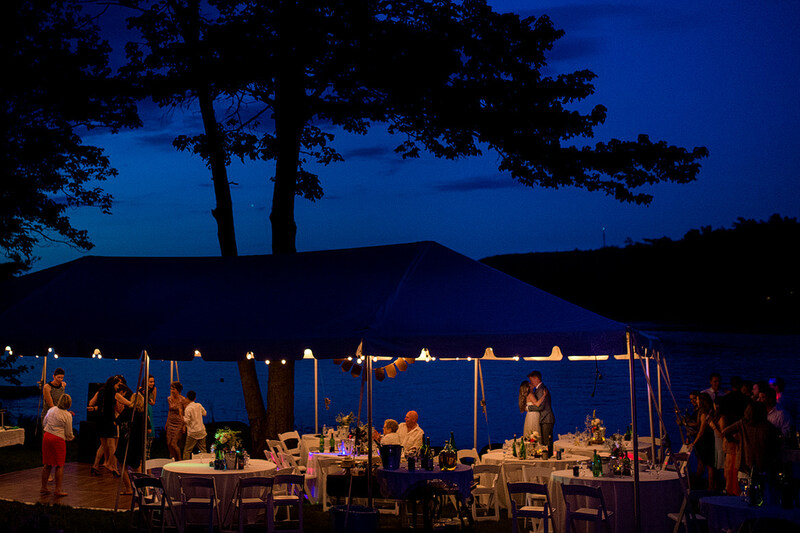 Dinner was a potluck BBQ, enjoyed on her grandmother’s antique dishes, followed by dancing under the white lights as the sun set over the lake. 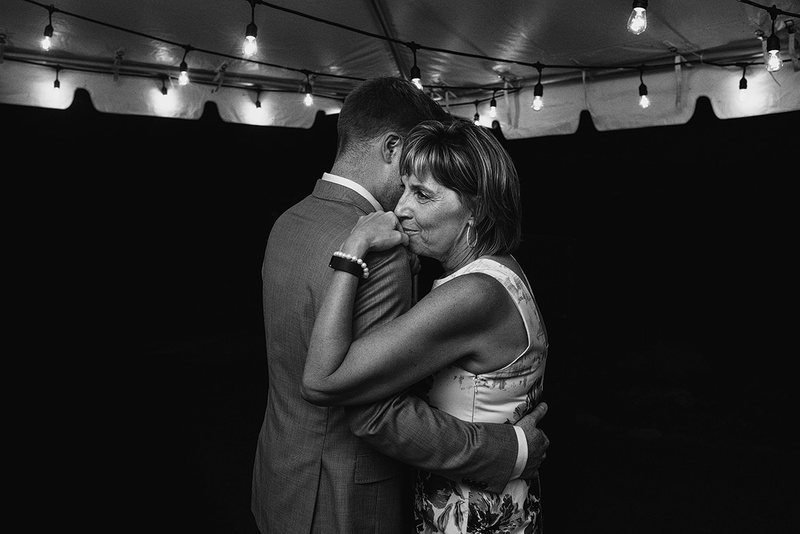 At the end of the night, Kiandra and I were met with so many hugs that it took us an extra half hour to leave. 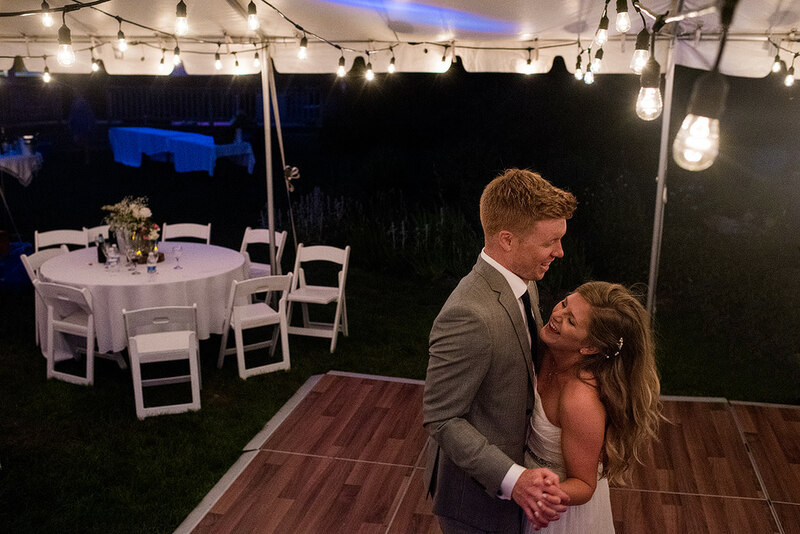 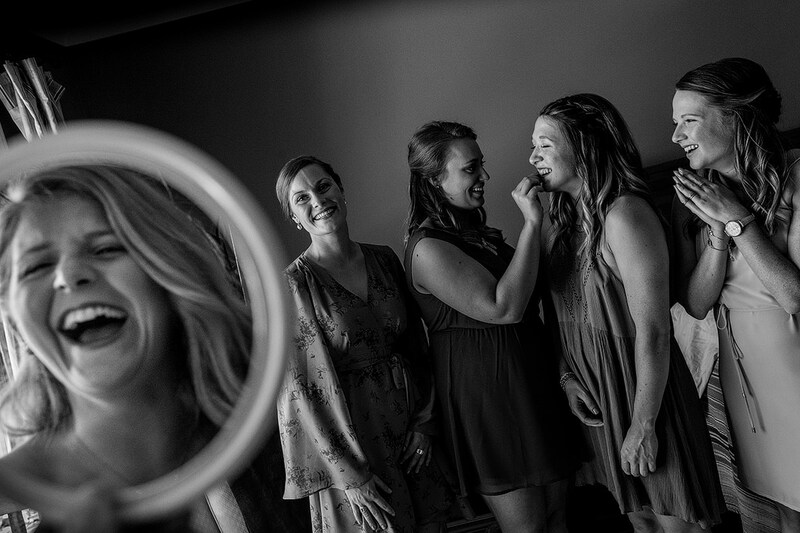 It was an amazing way to finish the wedding and we’re so happy for you both!